“Shifting between fictional stories, personal memories and historical fact, William Martin weaves disparate narratives into a complex relationship. Through an associative approach he combines strands from history, archeology and philosophy to address subjects ranging from the traditions associated with sailing culture, to the archeological and colonial histories of the Western world. Martin’s practice is an expanded ceramic practice with a social twist. Enjoying the tension between the functional heritage of pottery and its place in his practice, he constantly re-assesses the purpose of the objects he makes. 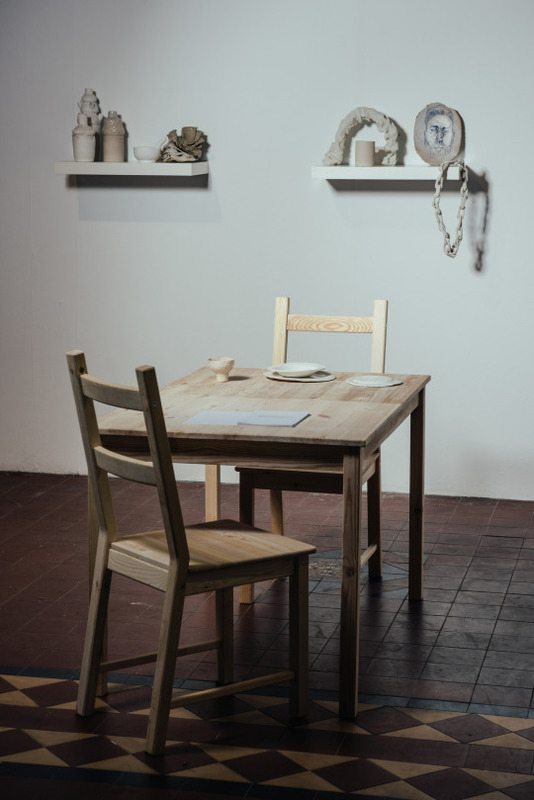 The audience’s interaction with his ceramics remains important but the functional relationship is extended to a social one as Martin invents bespoke scenarios and occasions in which to play out narratives and challenge his audience to engage.